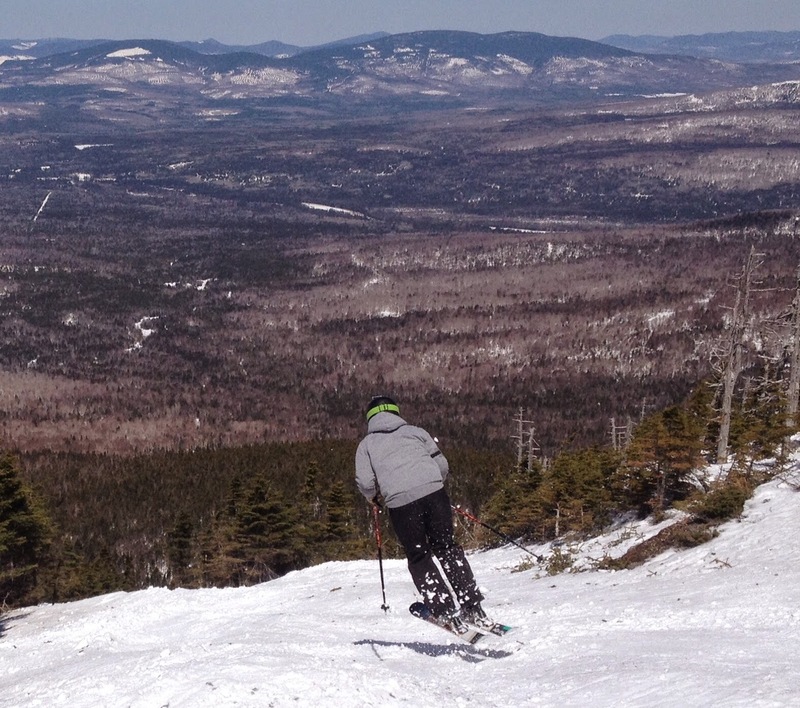 After a winter of incredible skiing we got an outstanding spring day at Saddleback. 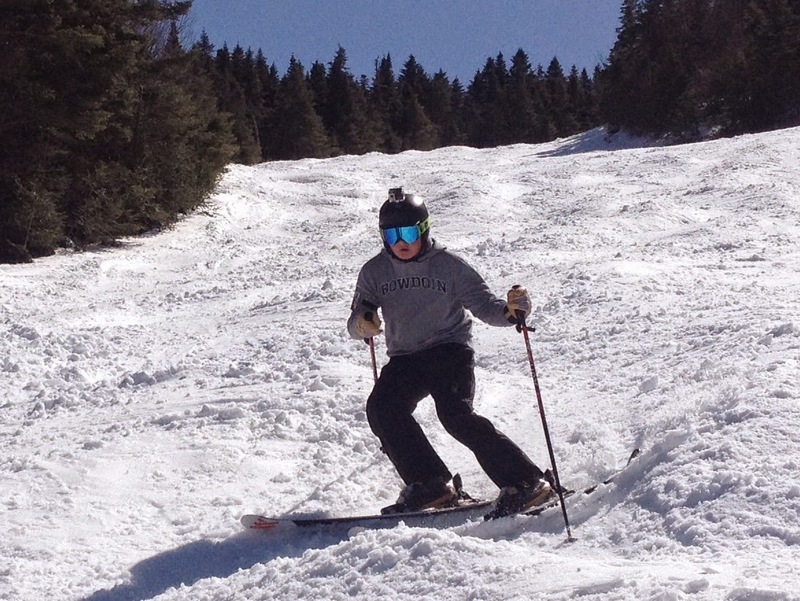 With deep cover, the bright sunshine and temps around 50 made a stellar ski day. 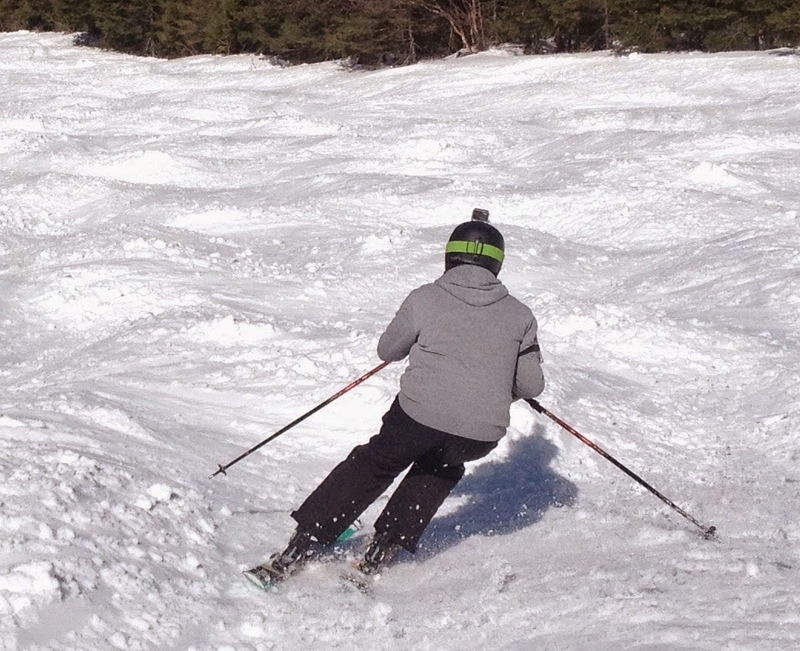 After about 11am, the natural trails loosened up and skied great. Everything was awesome all day. Groomers, Woods, Bumps - all were outstanding. The old man took a tumble down Governor head wall - check out the video evidence below... but no harm done. Enough words - our day was just a bunch of this. NO HARM DONE! 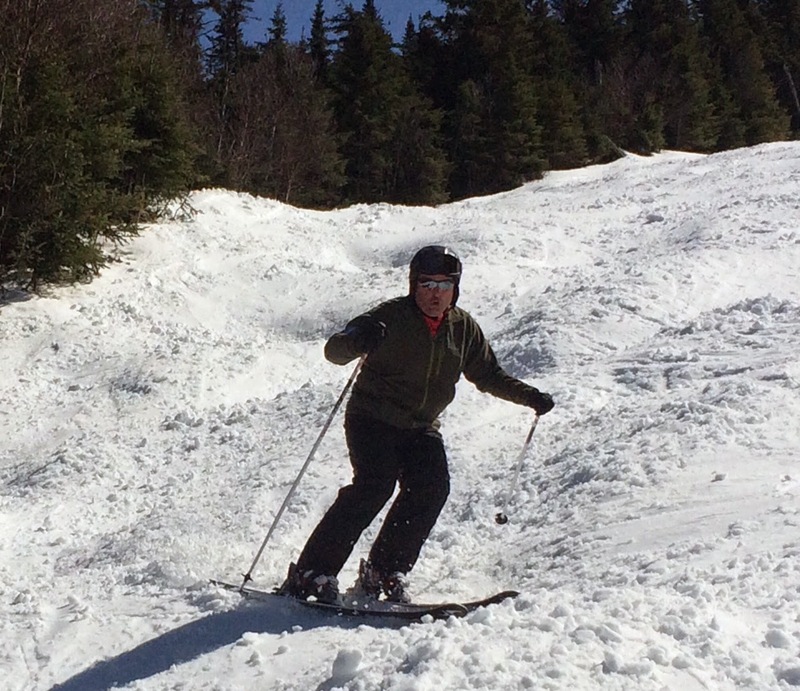 But a bit of a fall by the A Family Skiing in Maine old man on the Governor headwall. Ski got caught and down we go!